As an Air Warfare Specialist your primary role is to utilise the P-3K2 Orion’s highly advanced sensor systems to collect and analyse information in the aircraft’s area of interest. As an Air Warfare Specialist your primary role is to utilise the P-3K2 Orion’s highly advanced sensor systems to collect and analyse information in the aircraft’s area of interest. To achieve this, you’ll be responsible for the effective operation of a number of high-tech onboard systems including the radar, electronic surveillance, electro-optics, magnetic anomaly detector and acoustic sensor systems. Your role will include processing, analysing, classifying and filtering the information gathered prior to it being used by your fellow crew members to aid in the tactical employment of our aircraft and to guide civilian and military response units. You will be involved in a range of tasks including Search and Rescue Operations, Military Operations, Fisheries Patrols, Airborne Surveillance and Military Exercises. You will also be expected to carry out tasks common to all aircrew positions, including flying support, human and crew resource management, teamwork, mission support, and aircraft-related tasks such as monitoring of aircraft systems and emergency procedures. The great thing about my role is you get to work in a crew. You get to be cohesive as a group of people; grow, develop and learn together. Following 12 weeks basic military training at RNZAF Base Woodbourne, you’ll be required to pass a four-week Corporal Qualifying Course to confirm your rank as Acting Corporal. 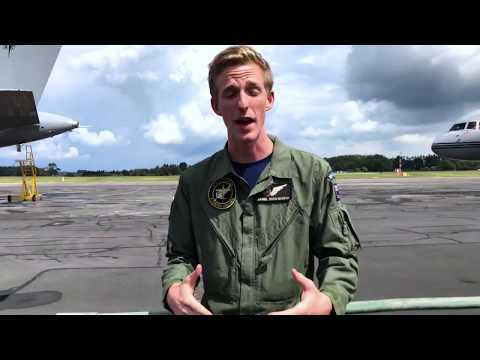 You’ll then attend an eight-week Combined Non-Commissioned Officer Aircrew Course, primarily at RNZAF Base Ohakea, before beginning training in your specialist role. The Air Warfare Specialist Course begins with a seven-month residential course covering electronic and airspace theory, computer management, aircraft emergency procedures, security, general aircraft systems, data handling, radar systems and electro-optics. Your flying is carried out on both the Kingair and Orion aircraft. The second phase of training is a five-week operationally focused course on board the Orion with other aircrew to help you form a well-coordinated team focused on Orion operations.